Sir Lawrence Parsons, whose family was later ennobled as the Earls of Rosse, built this massive castle in the 1620s on the site of the Offaly stronghold of the O’Carrolls, the local clan described as ‘a hospitable, fierce, yellow-haired race’. The Earls of Rosse live there to this day. A fire badly damaged the castle in 1823 and soon afterwards it was rebuilt, largely in Gothic Revival style. Birr Castle’s superb ornamental gardens, spread over 100 acres, are planted with flowering magnolias, cherry and crab-apple trees, hornbeam alleys and 34ft high box hedges, claimed to be the tallest in the world. The remains of the 3rd Earl Of Rosse’s giant telescope, built in the mid-19th century, can be seen in the grounds. The castle is not open to the public, though the grounds can be visited all the year. 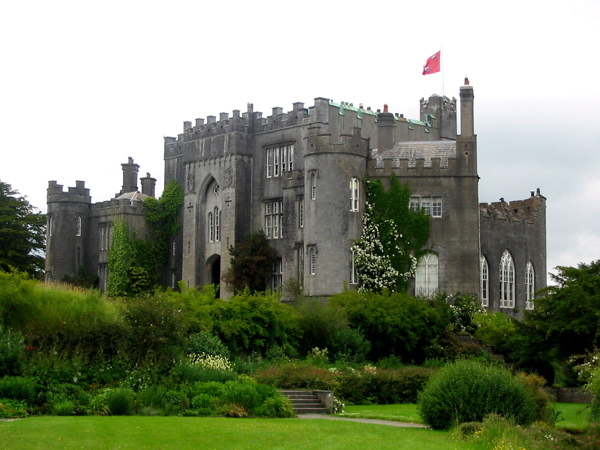 Birr Castle is a real must see on your tours of Ireland.